According to a survey conducted by J.D. Power, 27% of new homeowners ultimately came to regret their choice of lender. Twenty seven percent. The major reason for the dissatisfaction was overall poor customer experience. That's pretty vague so let's dive further. A lack of communication or unmet expectations (again back to communication) topped the "poor customer experience" sub list. Other regrets listed included pressure from the lender to choose a particular product/loan and not closing on time. Communication is a two way street. As a homeowner or potential homebuyer, you can remove some of the tension and turmoil of home loan process by carefully vetting potential lenders. Here are 5 questions to ask potential lenders before you make a commitment. 1. What mortgage programs do you offer? In many cases, choosing the best loan for your specific financial situation requires working with a lender who offers a wide array of loans. You don’t want to work with a lender who tries to push you into one loan simply because that’s the only option from their limited selection. 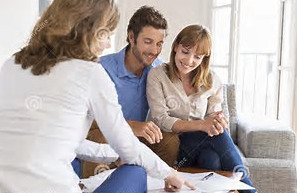 Ask them if they regularly handle the type of loan you are looking for. If the type of loan you are looking for is more specific than say, a conventional fixed-rate mortgage, a little more expertise is useful — and in some cases, it might be necessary. An uncommon home loan like a United States Department of Agriculture loan, for instance, must go through an approved lender. 2. Inquire about the qualifications for the home loan you are seeking. There may be two lenders who offer the same type of loan, but their minimum requirements could differ. For instance, Department of Veterans Affairs loans require a minimum credit score of 620, but a lender might require a minimum score of 640. Comparison-shop. Don’t assume the same type of loan means the same terms. 4. Ask when you may be able to do a rate lock. As we mentioned above, mortgage rates can change multiple times a day. They can be as fluid as the stock market. Be sure to ask about the associated fees, including how much it costs to extend the lock should it expire before closing. 5. What is the time estimate for processing my home loan? This is critically important if you are selling a home or coordinating the end of a current lease with a new home purchase. Under the TRID guidelines, it's vitally important you receive your initial closing disclosure four business days before your closing date. In short, get the key dates of the appraisal and underwriting approval. Of course, it’s always a good idea to build in a small buffer if you can — and not just because loan preparation can take longer than expected. Along these lines, make sure you explain that you expect communication in a straightforward and timely manner.